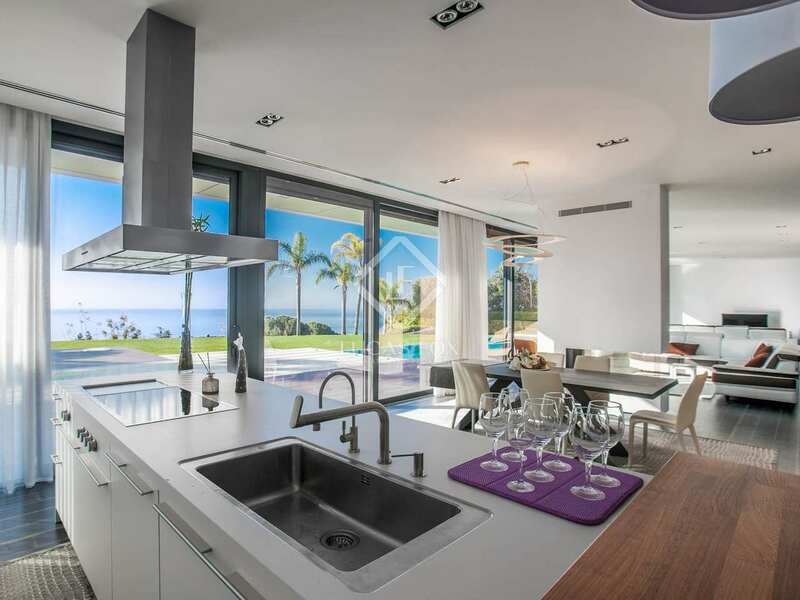 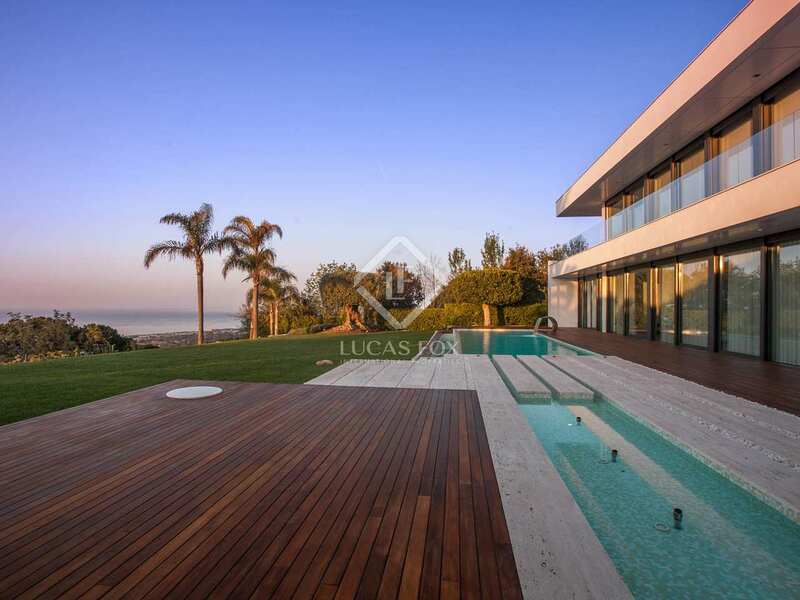 Built in January 2014 this breathtaking contemporary villa is found just 35 km from Barcelona, 45 km from El Prat airport and 5 minutes from Port Balís marina. 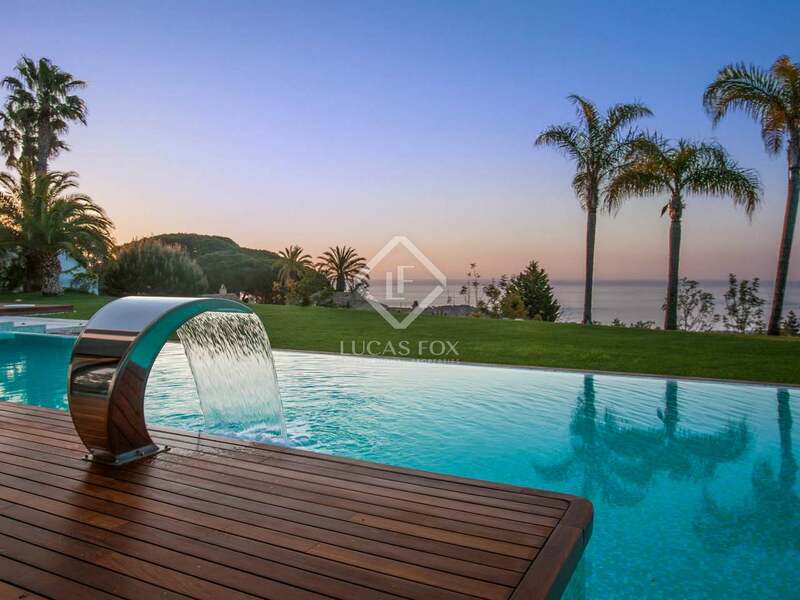 Set on a plot of 2,000 m², the property boasts magnificent outdoor space with tropical wood decking and travertine marble surrounding the heated salt water pool with a cascade and jacuzzi. 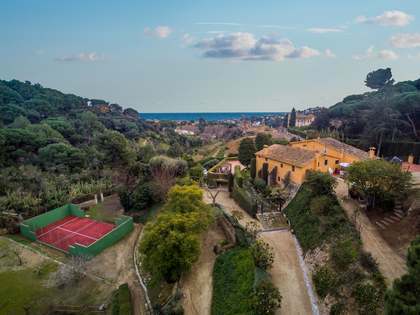 The beautifully landscaped garden with outstanding sea views has several open terraces to enjoy the Mediterranean climate all year round, as well as a summer dining area with a built-in barbecue. 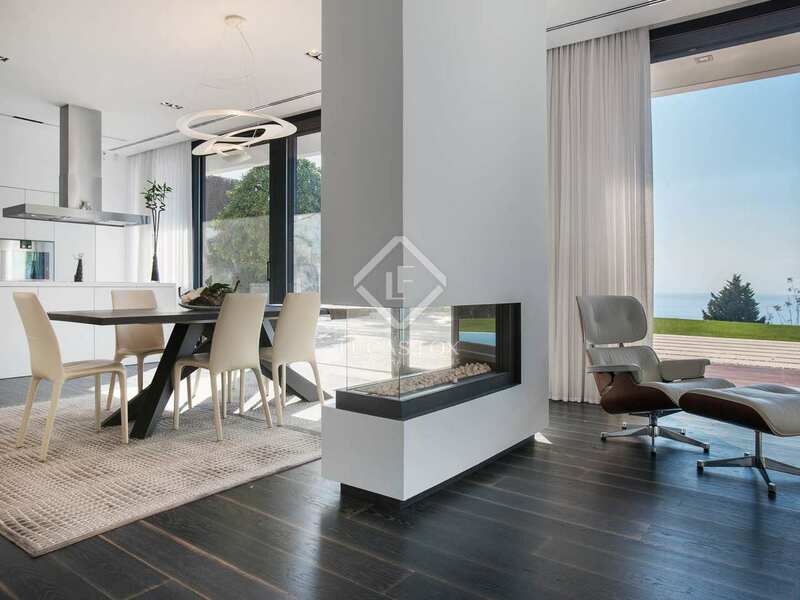 The main floor of the home consists of a vast open plan living space with travertine marble walls and a designer gas fireplace in the living room. 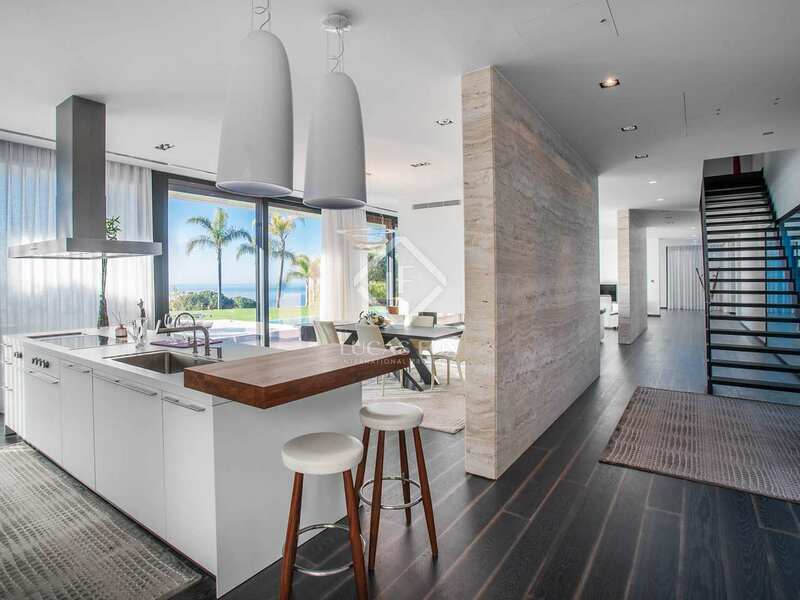 The high spec, open-plan kitchen is equipped with top end Gaggenau appliances, breakfast bar and dining area with a separate laundry room accessed from the kitchen. 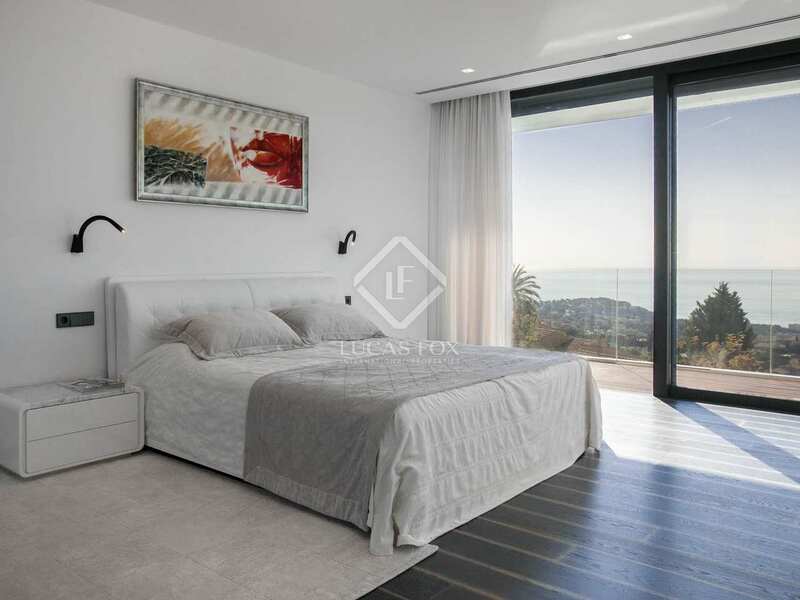 Also on this floor is a secondary lounge area and potential to add another bedroom or a gym. 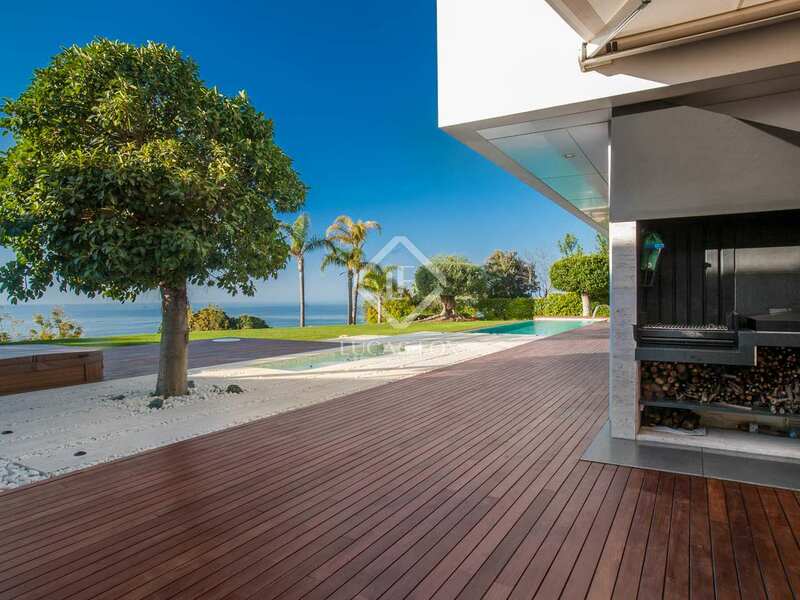 All of these areas enjoy access to the garden and have sea views. 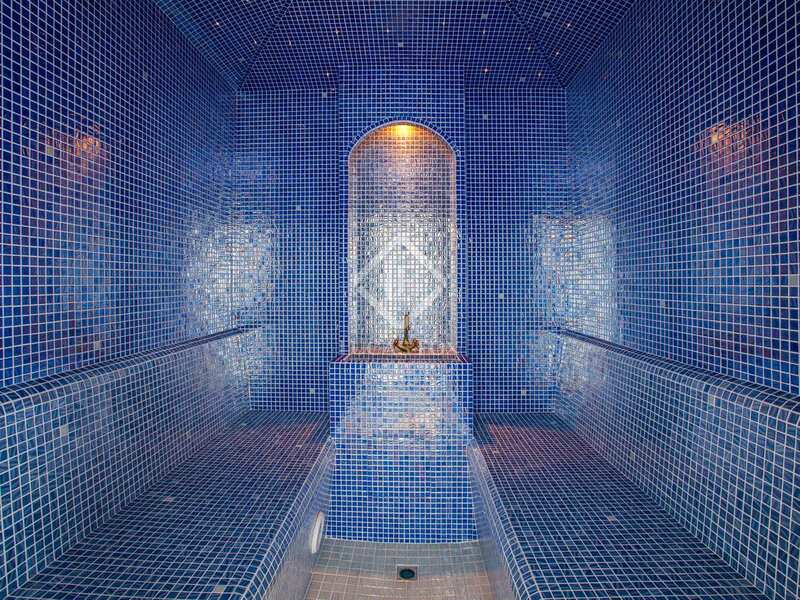 A wonderful hammam completes this floor of the property. 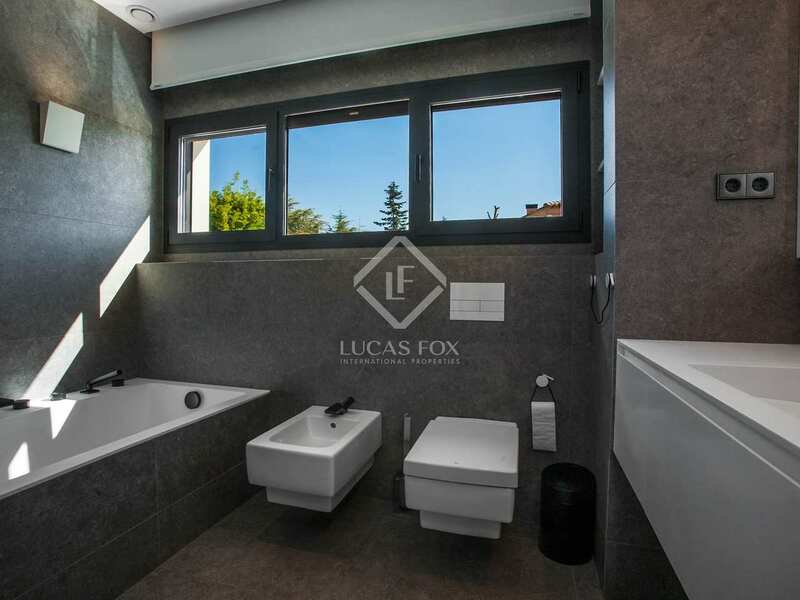 The 4 spacious bedroom suites with walk-in wardrobes and terraces are located on the first floor. 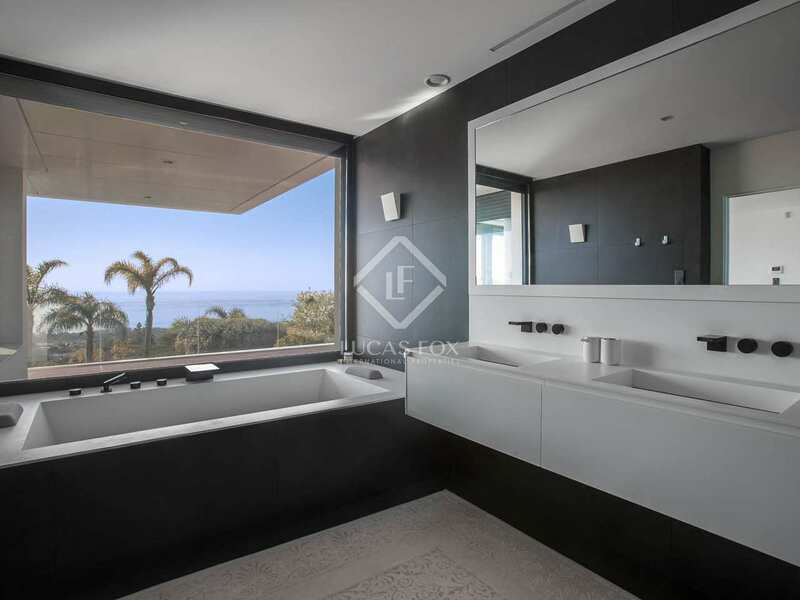 The bathrooms feature sanitary ware by Villeroy and Bosch and the master bedroom has a large bathtub with sea views. 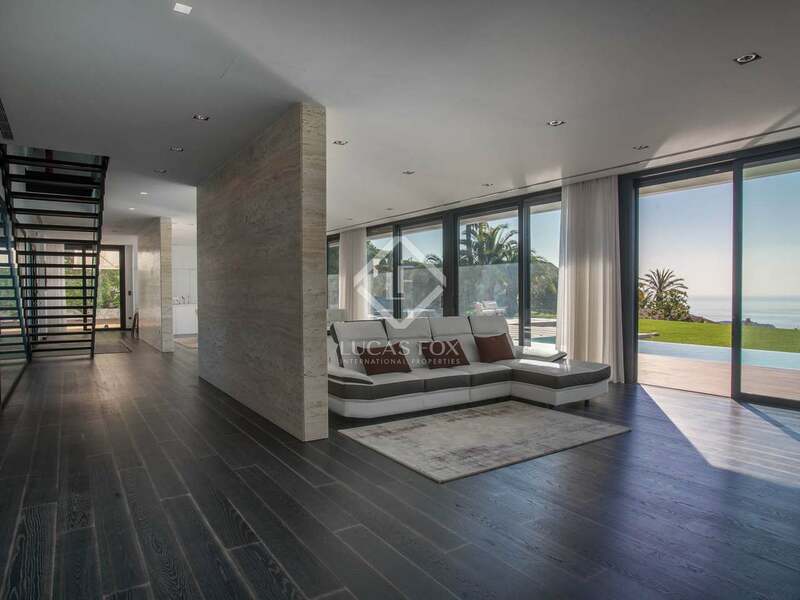 The basement offers an open space for use as a wine cellar, gym or storage room for example. 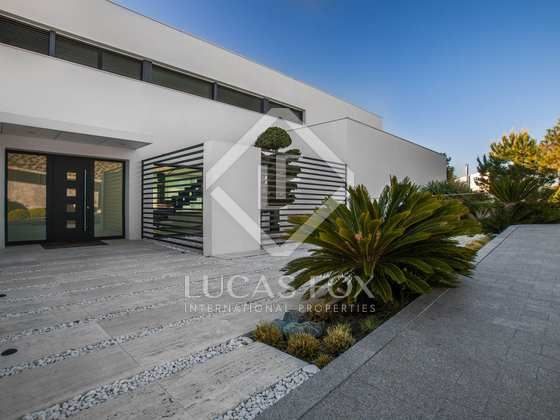 Additional features of the property include the home automation system, underfloor heating and LED lighting throughout the house, surround sound system and solar panels. 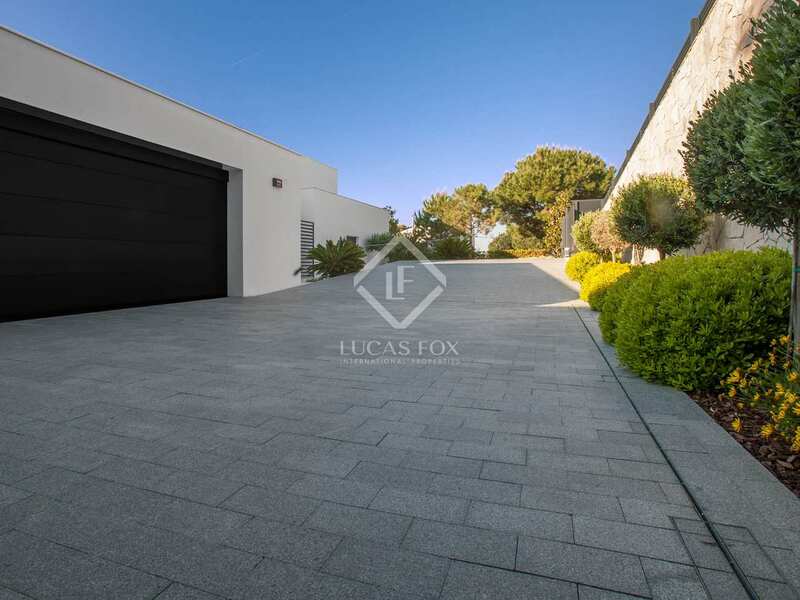 A spacious garage is located on the ground floor of the property and plenty of off-street parking is also available. 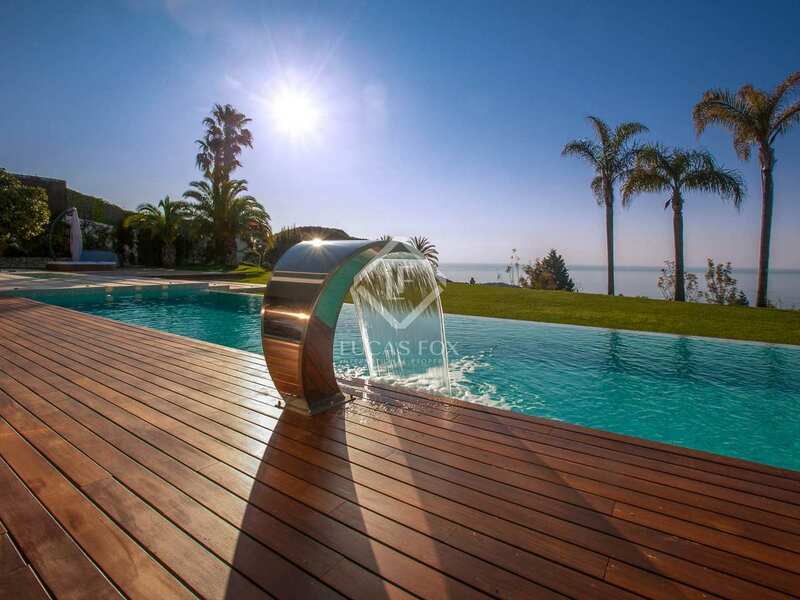 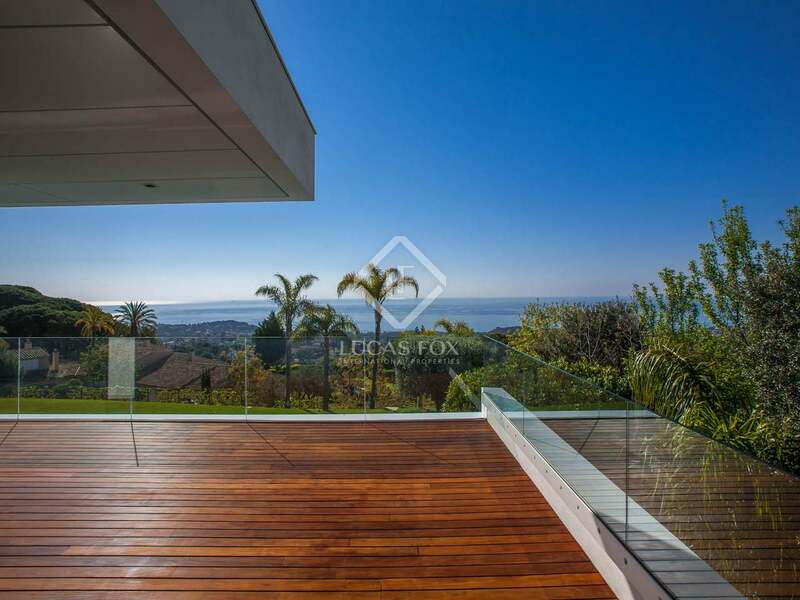 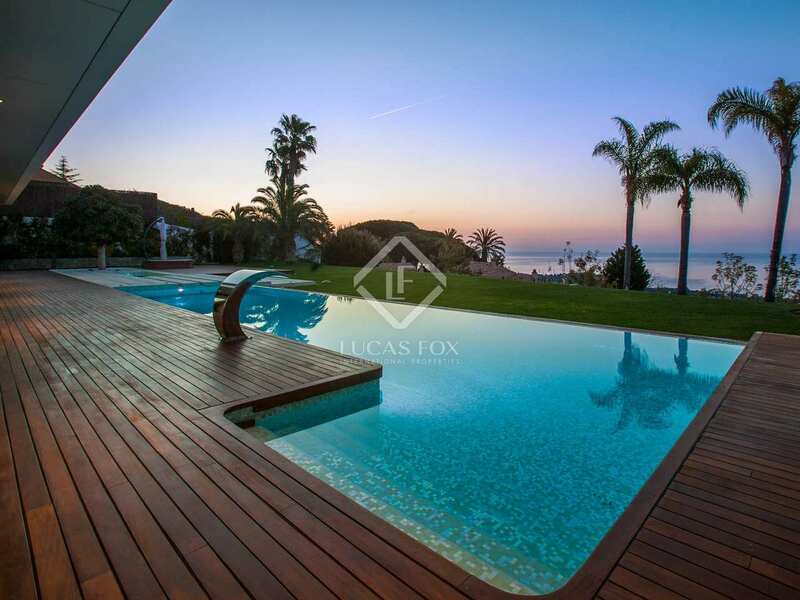 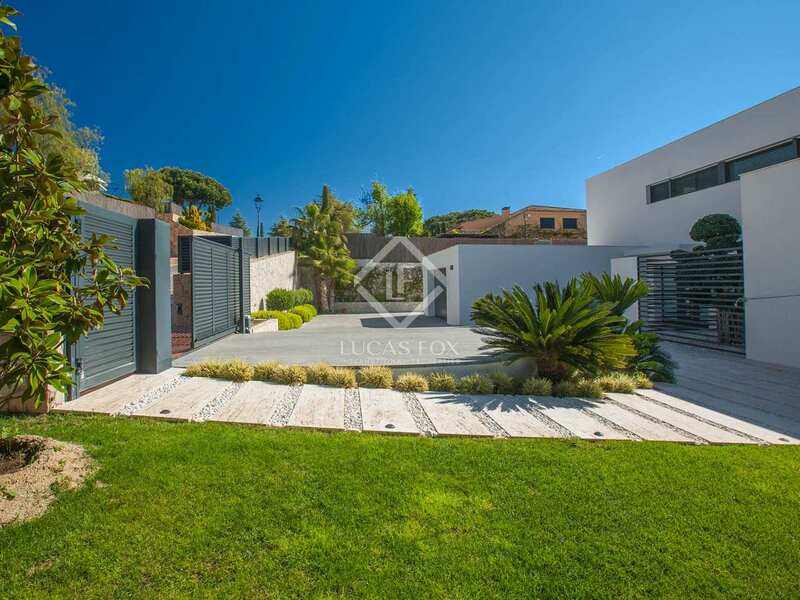 An exceptional luxury home for sale in the best area of El Maresme. 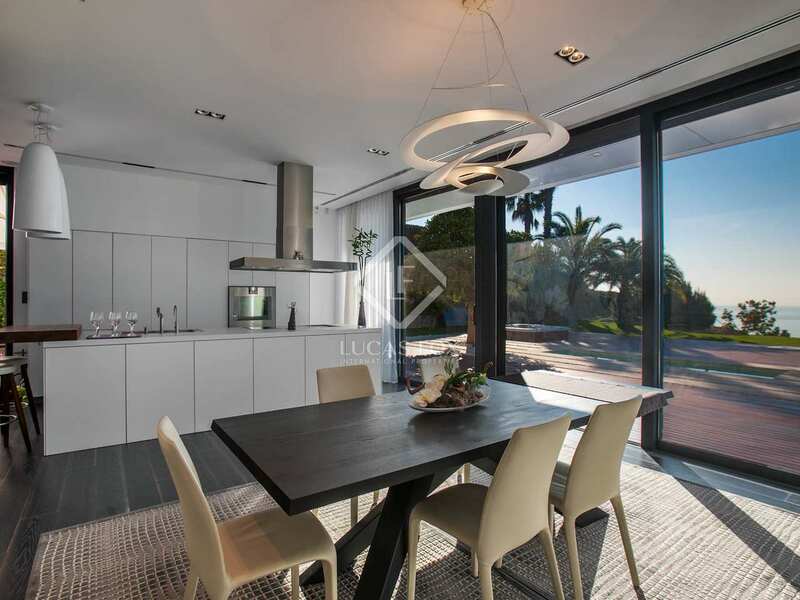 Open space for use as a wine cellar, storage or gym for example.